The ability to operate a forklift truck can lead to many new opportunities for workers in the building and construction industry, and is a skill that many people are keen to add to their repertoire. As you think about what a forklift trick licence will enable you to do, it is also important to start thinking about how you can pass your forklift driving test as quickly and effectively as possible. For forklift truck drivers, there is a procedure for obtaining a certificate. While there is no government agency that grants you a licence in the same way it does for cars and lorries, you should look to get a certificate granted by one of six government-approved agencies. 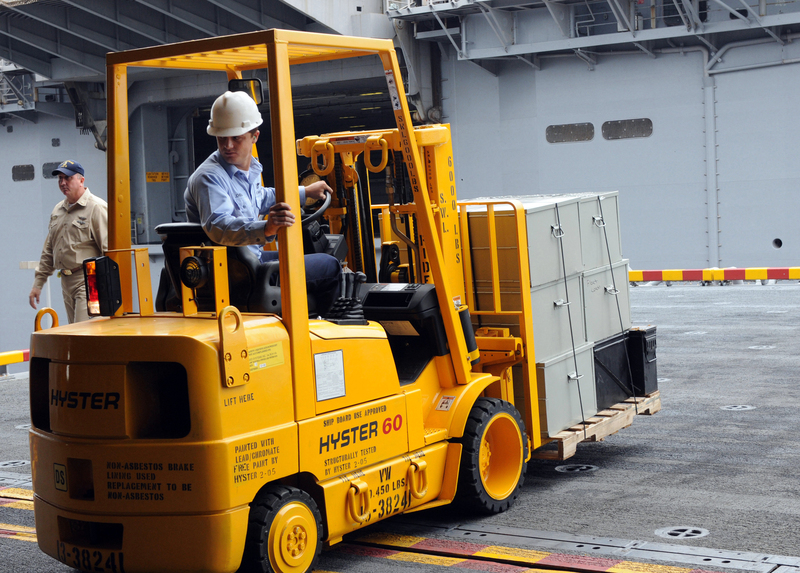 For the majority of forklift truck driving jobs, employers will require that you have a certificate issued by ITSSAR. To get your certificate, you will need to register with an accredited training provider and attend a short course on the basics of operating a forklift truck. The lecture series will include aspects of driving such as safety, functionality and best practice, and will end in a written test that you will need to pass in order to obtain your licence. Unlike learning to drive a regular car, many forklift driving courses can be completed in a short period of time – often in as little as a few days. Many people pass their written exam the first time. You can, however, increase your chances of passing by reading up on the topic before you start the course. Going into a course blind can put you at a disadvantage to those that know the topic well already. Learn from colleagues if you can; seeing them operate forklift trucks first-hand will help you to remember the basics. The other step to gaining your forklift truck driving licence is a practical test. This part will require you to demonstrate how effective you are at driving a forklift truck yourself, and whether you can demonstrate what you have learnt in your theory test in real-life situations. Before you take your practical test, it is highly advisable to get in a good few hours’ forklift driving test practice. You can get training from a professional provider, and you can observe colleagues on the job in your workplace to get a good grasp of basic operation. Like any driving test, a forklift truck practical test instructor will issue you penalty points for any errors. Your aim throughout the test will be to score the minimum number of points as possible. To pass, you cannot exceed 40 points. Each error you make will be classed as either a serious fault (5 points), a mid-range fault (3 points) or a minor fault (1 point). If you score more than three major faults, you will automatically fail the test regardless of your score. You will be judged on aspects such as your speed of operation, how you observe and react to your surroundings while driving, and whether you are using tools such as foot brakes and handbrakes correctly. Serious faults are considered to be related to poor judgement or not securing the truck properly while stacking – as well as anything else that could compromise safety in real-life situations. The forklift truck practical test is designed to be fairly difficult and ultimately is there to ensure maximum safety in the workplace for both operators and others in proximity. If you want to increase your chances of passing the first time, it is advisable to seek professional training and advice, and to do as much homework as you can before jumping behind the wheel.